We are delighted to present this four bedroom DETACHED FAMILY HOME on the popular Brooklands development in a quiet CUL-DE-SAC with spacious living accommodation set over three floors and providing dual aspect lounge, large L-shaped breakfast kitchen, master bedroom with en-suite, three further bedrooms, family bathroom on the first floor and shower room on the second floor. VIEWING HIGHLY RECOMMENDED!! 3.10m x 4.93m (10'2 x 16'2 ) - Two windows to front aspect, French doors leading to rear garden, carpet flooring and blinds. 4.93m x 5.16m (16'2 x 16'11) - Comprehensive range of base and wall units, oven, hob, stainless steel extractor hood with glass splashback, integrated dishwasher, integrated fridge / freezer, integrated washing machine, understairs cupboard, two windows to front aspect with blinds, one window to rear aspect, door leading to rear garden and tiled floor. White two piece suite with tiled floor. 3.18m x 3.33m (10'5 x 10'11) - Wardrobes, two windows to front aspect, carpet flooring and blinds. 3.15m x 3.20m (10'4 x 10'6) - Wardrobes, two windows to front aspect, carpet flooring and blinds. White three piece suite with thermostatic shower over bath, shower screen, window to side aspect and vinyl flooring. 3.61m x 3.51m (11'10 x 11'6) - Velux window to front aspect with blind, window to side with blind and carpet flooring. 3.12m x 3.61m (10'3 x 11'10) - Velux window to front aspect with blind, window to side with blind and carpet flooring. Accessed from bedroom 3 and the second floor landing comprising white three piece suite with shower cubicle, Velux window to the rear aspect and vinyl flooring. Laid to lawn with patio sitting area, enclosed garden with gate to side. This property has mains Gas, Electric, water and drainage. Like This Property? Need To Sell Your Own? - Do not worry - This is a surprisingly common problem and one that we encounter on a near daily basis. If you require Astons Estate Agents can advise you on the best way to secure this new home and will give you a realistic & honest opinion on how to sell your own home - quickly if required. offices. Call, email, or discuss in person with one of our team -7 days a week. Within the city centre and the surrounding areas. You can easily spend a weekend or even a week exploring the cultural offering alone. There's always plenty to do in Milton Keynes! This vibrant new city lets you enjoy the countryside, spend time with the family, take part in thrilling adventure sports or explore its rich history. Milton Keynes is a shopper’s paradise. Whether you’re looking for a state-of-the-art modern shopping mall, traditional boutique shops, farmers’ markets or even a Swedish superstore, Milton Keynes has it all. Milton Keynes boasts over 4,500 acres of parkland, rivers, lakes and woodland including over 20 million trees – it truly is “the city in the country”. Milton Keynes has an enviable reputation for the wide range of entertainment it has to offer. As a new and vibrant city you can always find something to entertain you, from concerts at the National Bowl and theatre performances straight from the West End through to multi-screen cinemas and live comedy – whatever you’re looking for, Milton Keynes is one of best entertainment destinations in the UK. 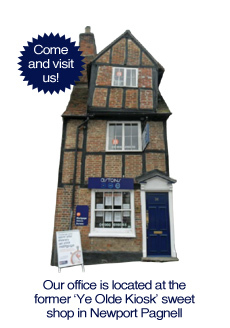 For a smoother process we recommend that you speak to our mortgage adviser as early on in the process as possible. A decision in principle from a mortgage lender can place you in a more favourable position when putting in an offer on a property. We are able to offer independent mortgage advice from the whole of the mortgage market, ensuring you get the best possible advice and mortgage deal suitable for you. Appointments are available Monday to Friday and early evening appointments by arrangement. We offer FREE in house no obligation mortgage service. These particulars are set out as a general outline in accordance with the Property Misdescriptions Act (1991) only for the guidance of intending purchasers or lessees, and do not constitute any part of an offer or contract. Details are given without any responsibility, and any intending purchasers, lessees or third parties should not rely on them as statements or representations of fact, but must satisfy themselves by inspection or otherwise as to the correctness of each of them. We have not carried out a structural survey and the services, appliances and specific fittings have not been tested. All photographs, measurements, floor plans and distances referred to are given as a guide only and should not be relied upon for the purchase of carpets or any other fixtures or fittings. Gardens, roof terraces, balconies and communal gardens as well as tenure and lease details cannot have their accuracy guaranteed for intending purchasers. Lease details, service ground rent (where applicable) are given as a guide only and should be checked and confirmed by your solicitor prior to exchange of contracts. No person in the employment of Astons Estate Agents has any authority to make any representation or warranty whatever in relation to this property. Purchase prices, rents or other prices quoted are correct at the date of publication and, unless otherwise stated, exclusive of VAT. Intending purchasers and lessees must satisfy themselves independently as to the incidence of VAT in respect of any transaction relating to this property. We retain the copyright in all advertising material used to market this Property.